Hertfordshire-based Dream Automotive is at the forefront of developing useable power modifications and upgrades for the all new FK2/FK8 and other Honda models. Owner Phil Crafford has over 15 years’ experience on Honda Products, and has built a business on putting the customer first. The new CP7748 1/2” impact wrench from Chicago Pneumatic is claimed to offer technicians the power, comfort and durability that they demand. PMM investigates, with a bit of help from Dream Automotive. Chicago Pneumatic has unveiled a powerful new 1⁄2” impact wrench for vehicle service specialists. Building on the successful previous model, the latest CP7748 has been designed to offer operators unparalleled levels of power, comfort and durability, and is suitable for workshop or roadside assistance tasks such as tyre changing. 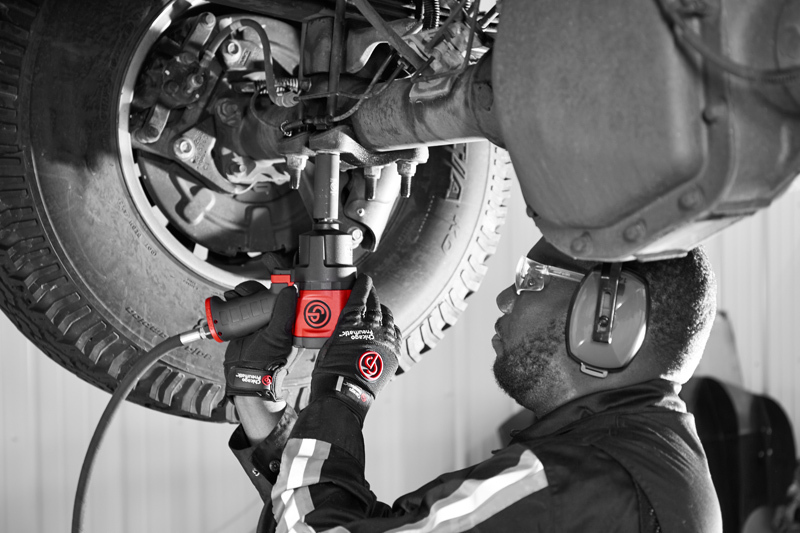 Weighing in at just 4.4lbs (2kg) and delivering 960ft.lbs (1,300Nm) of power in forward and reverse, the CP7748 impact wrench provides a high power-to-weight ratio. This is more power than its predecessor, and so the tool delivers improved efficiency and reduced operation time. The impact wrench is equipped with a wealth of new design features to maximise comfort so operators can get their job done quickly. At the heart of the design is a forward/reverse and power control ring system, which is more ergonomic than controls on the back of the tool. Users can either change direction by pushing buttons easily with one hand, or simply by turning the ring from anywhere around the tool. The CP7748 also offers two different settings in the forward position (40% of maximum power and full power) and a full power setting in reverse. This ring system facilitates the use of the CP7748 in tight places without having to remove the tool to change direction. 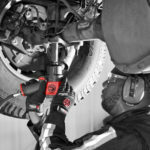 Furthermore, the system also reduces fatigue on operators’ wrists and arms when switching between forward and reverse or adjusting the power. Thanks to its compactness, the CP7748 can comfortably be used in confined spaces. The tool is 14.3% shorter than the previous version, measuring just 6.89 inches (175mm) in length. This new version features a 360° swivel air inlet to provide ample manoeuvrability. Additionally, the CP7748 comes with a curved handle which uses rubber material at the back of the tool to provide excellent handling, while helping to prevent the tool from slipping through dirty and oily fingers. Prior to its release, the CP7748 was put through its paces by the team at Dream Automotive, who used it extensively on a vast array of applications, such as calipers, wheel nuts, crank pulleys and bell housings. Workshop owner, Phil, also found it ideal on a Honda Civic FK8 when working on the rear sub frame bolt to fit sub frame collars. He especially liked the one hand reverse ring system that gave ease of single-handed operation. For details on the full range of Chicago Pneumatic tools, click here. Previous : Are You Equipped for EFBs?